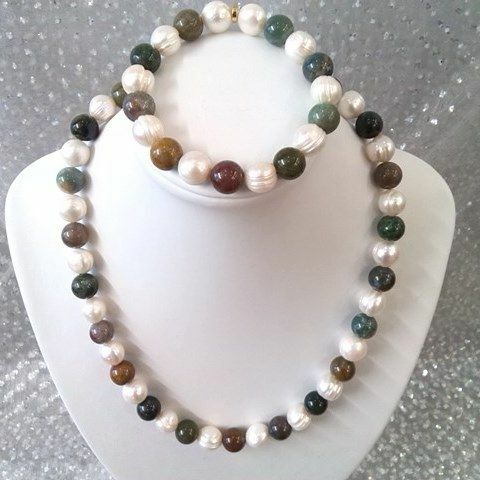 Large 'ringed' white pearls (10 - 11 mm) and jade & jasper beads combine to great effect in this fabulous 18-inch necklace. 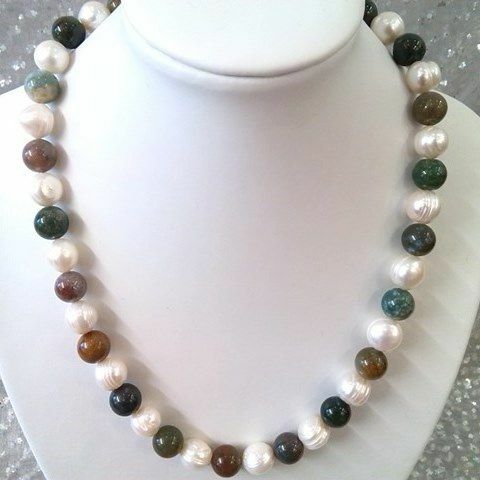 The lustrous sparkling white of the pearls and various colored-stones is a beautiful combination. 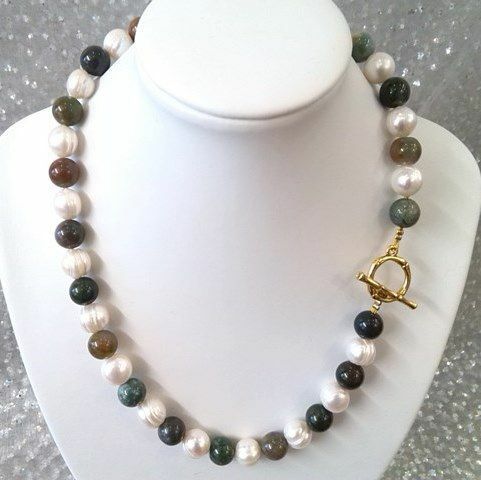 ​We've found that the GP loop and toggle clasp works very well with this piece.